Moment 4 Life is probably the dopest song on Nicki Minaj's album. Check out her performance of it on George Lopez's show. 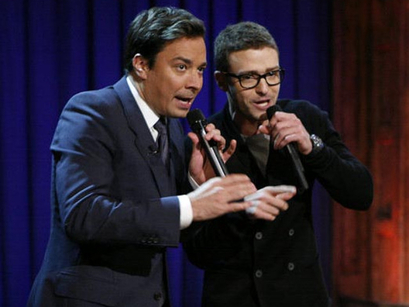 You cannot front on this hip-hop medley by Justin Timberlake and Jimmy Fallon (no matter how hard you may want to). Check it out.